When you have two children aged under four it can be really difficult to carve out some quality one on one time with each of them. Yesterday Bud and I had the perfect opportunity for some mummy-son time when we were invited to the Chill Factore in Manchester to see Father Christmas and play in the snow. As children have to be over two to enjoy snow play we left Little Miss with her grandparents and headed off to the snow. 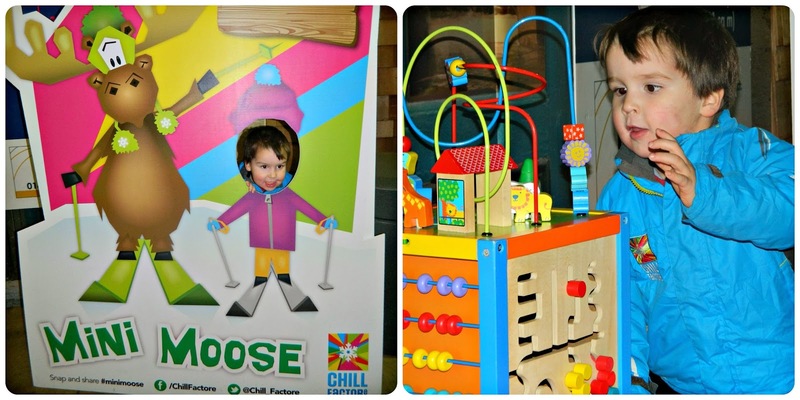 When we arrived at Chill Factor we grabbed our clothing hire of jackets, trousers and snow boots. We arrived half an hour early, as recommended by the booking staff. The centre wasn't very busy so we were changed and ready to go within ten minutes and spent the rest of our time watching all of the different classes heading off to the slopes, some really tiny children, not much bigger than Bud were heading off for skiing lessons on mini skis. Very sweet, I'm not sure what Bud would make of that. Chill Factore ask that everyone going on to the snow wears gloves and these are essential in my view. The snow is extremely cold and you need them to protect your hands. We put ours on when we went out on to the snow properly. 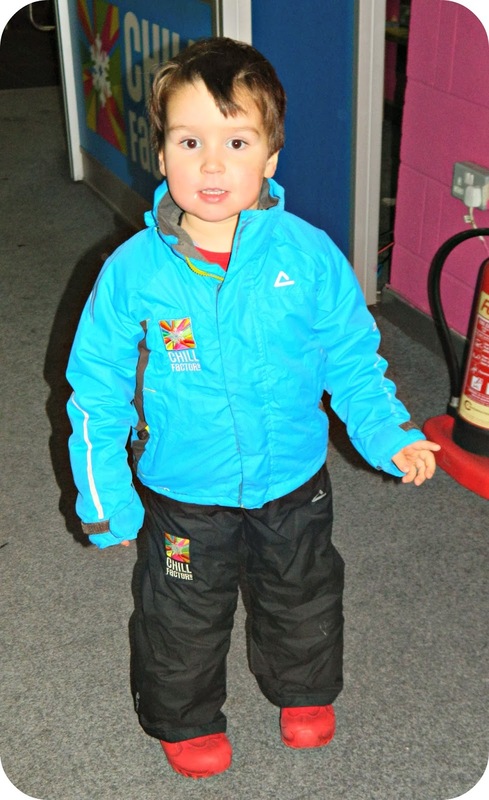 You don't have to hire clothing from the Chill Factore and I think that, if you have warm waterproofs you would be comfortable, if in doubt, hire. To take part in any other activities apart from snow play you will need to borrow a helmet. The entrance to Father Christmas' grotto can be found in the main mall area, the waiting area is set out with tables and chairs with books, colouring and wooden toys to keep children busy in case there is a delay. Bud really enjoyed playing in our short wait. From the waiting area you pass down a short series of corridors, through doors, all the time following a very friendly elf. You then head out in to the main centre and through a beautifully painted door to be taken to meet the man himself, Father Christmas, or Santa Claus. The grotto really is magical, Santa sits on a big chair surrounded by gifts for the children. The room is decorated with children's letters and pictures and it is a friendly, welcoming place. Bud marched straight up to Father Christmas to say hello and was asked if he wanted a hug, which he took. Father Christmas then chatted with Bud at length about what he would like. When Bud told him that he would like some toy animals they had a chat about which kind of animals Bud likes most and whether he wanted real or toy animals. Santa then gave Bud a present, after checking his age (he guessed correctly) and Bud posed for a photo with him. I wasn't allowed to take my own photos inside the grotto so, unfortunately don't have any to share with you. After leaving the grotto we took a look at the photos that had been taken but, sadly, I didn't think either of them were good enough to pay the minimum £10 package for it The first one was very dark, and the second was over exposed. It's a personal gripe of mine that grottoes who charge admission then charge for photos but I would have bought it if the photo had been better. There are three packages of photos available, priced £10 - £15, and each offers a large print, with an additional extra item. 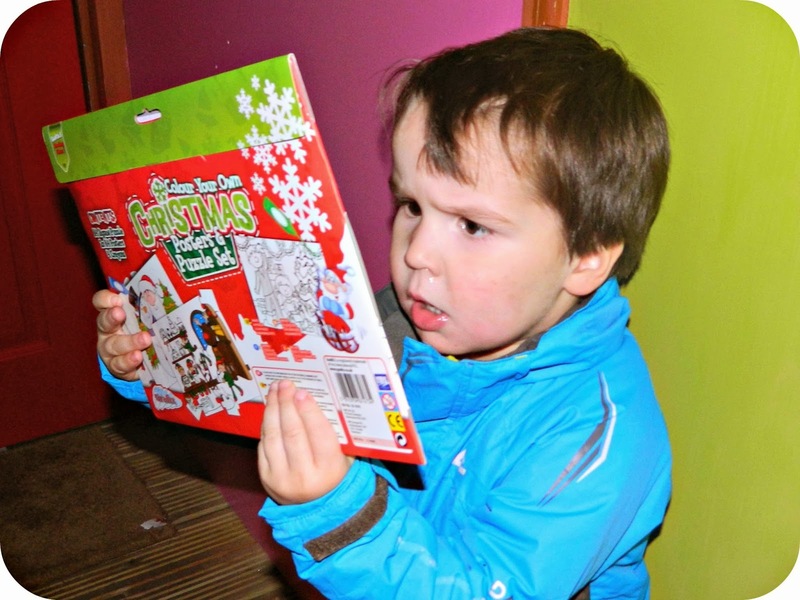 Bud opened his gift before he left the grotto and received a Christmas colouring set which he was delighted with (this is his happy face, he was exclaiming over the details!). From here you exit directly in to the snow play area which has been set up for the festive period as a real winter wonderland, with toy reindeer, lit up penguins and masses of Christmas trees, the area is perfect for small children to enjoy the snow. We put on gloves and hats and had a fun half hour playing in the snow. A mini tubing run had been set up so the children could have a tiny taste of the more adrenaline fuelled activities taking place elsewhere on the slopes, Bud was a big fan of this and, once we worked out it was much better with legs tucked in we managed a good few slides. It is real snow, it's cold and wet, just as it should be, in case you're wondering if it is in anyway artificial. It was wonderful to have a really fun half an hour to just play, with no distractions and I think we both enjoyed it very much. All that was left was to return our clothes and grab dinner at Nando's before heading home tired and happy. When I was putting Bud to bed later that evening he was still talking about Father Christmas and playing in the snow, he loved every second of it. Visits to Father Christmas can be combined with snow play, sledging, tubing or luging, dependent on the age of the child. Prices vary with the activity included and start at £17 for a family of two to see Santa with thirty minutes of snow play. If you book online for midweek sessions before 20th December there is a special offer price of £10 available. 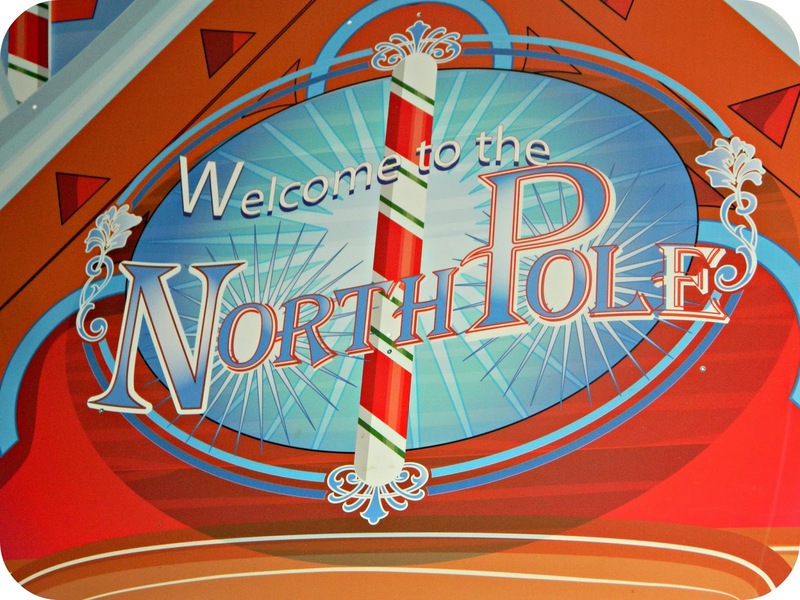 Details of bookings are available on the Chill Factore Santa's Snow Grotto section of their website. 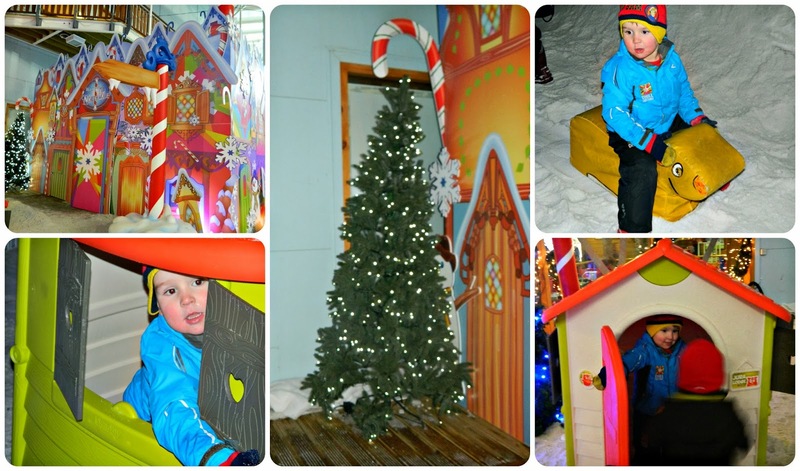 Disclaimer: We were invited to visit Santa at the Chill Factore and enjoy snow play afterwards. All opinions are honest and unbiased.